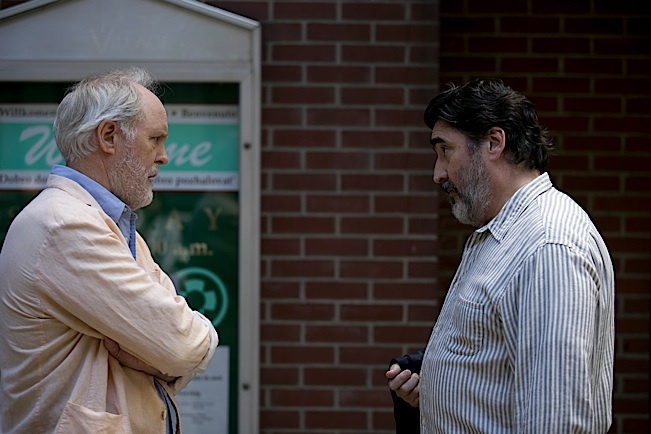 Alfred Molina as George and John Lithgow as Ben. Photo by Jeong Park, Courtesy of Sony Pictures Classics. It’s refreshing to see a film about love between older, average looking gay men. It’s also a major plus when such a film makes us aware of issues that could emerge should an older male couple choose to tie the knot. 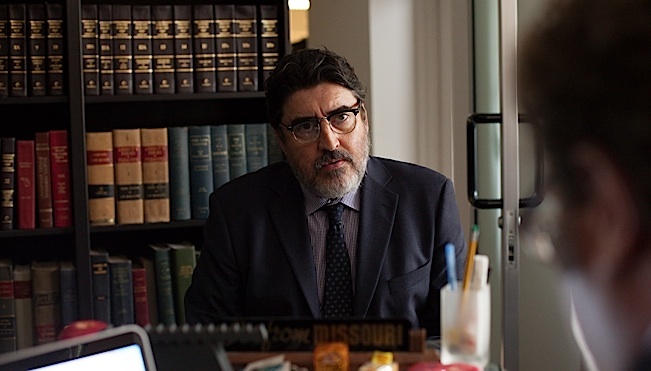 John Lithgow and Alfred Molina reveal some of those issues in the touching and illuminating, Love is Strange directed by Ira Sachs. After being together for four decades, New Yorkers Ben (Lithgow) and George (Molina) decide to exchange vows. Judging by the harmonious moral support from family and friends at the wedding you’d think that they are about to ascend to an even higher rung of happiness. Unfortunately, George is soon ejected from a music teaching job at a Catholic school because he has married a man. This means they can no longer afford the domicile they’ve shared for several years. So George takes the couch at the apartment of a gay male police couple he and Ben have befriended. However, the cops love to entertain, sometimes well into the wee hours, and not necessarily just on the weekends. Ben takes refuge in the nuclear family space of relatives, Kate (Marisa Tomei), her husband, Elliot (Darren E. Burrows), and their teenaged son, Joey (Charlie Tahan). Ben falls into a pattern where he seems to think because he has lots of spare time, that everyone else must also have the same amount of spare time. He is a visual artist who plays the artiste card, insenstive to the fact that Kate needs the home space for her writing work, and Joey needs it for study. Moreover, Joey becomes legitimately annoyed at some of Ben’s unconscious, unthinking actions. 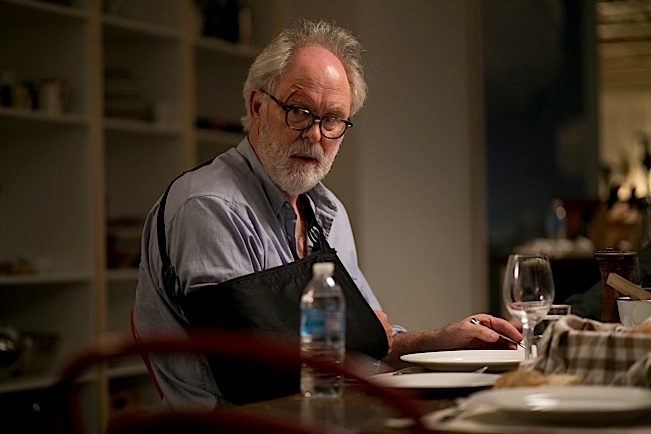 Though the superb Lithgow gives us a gay character who in many ways is easy to like, he exposes dubious characteristics which give his performance substance, honesty, and rich texture. He is also unafraid to show Ben’s scruffy, unkempt, aging side. In our time when politically correct images of minority people, and handsome ones of gay men in particular, are pushed in both the theater and in film, Lithgow’s Ben is quite real and a much needed reminder that glbt people still must be aware of how we share space and interact with others, especially kids. Sachs and co-writer Mauricio Zacharias give us lots of clearly detailed information about George’s career and its collapse, though regrettably, they have neglected a serious issue that he must contend with at the end. 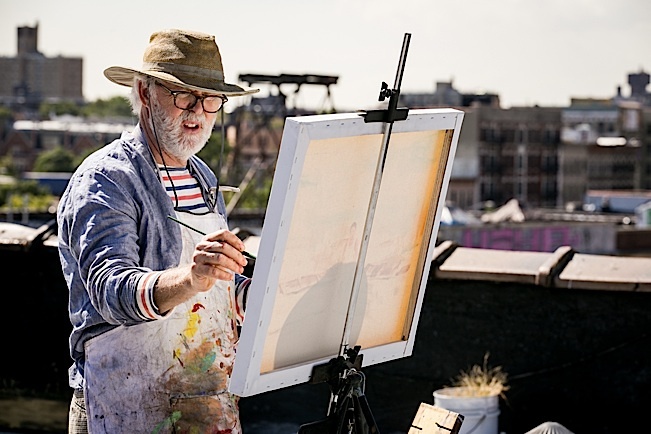 Moreover, there is too little background on Ben’s career as an artist and what specifics may have led to his financial instability. We definitely get a valid, even a visceral sense of the economic and social services systems thwarting both men’s pursuit of stability, but there are blanks the writers should have filled in regarding how they got there. 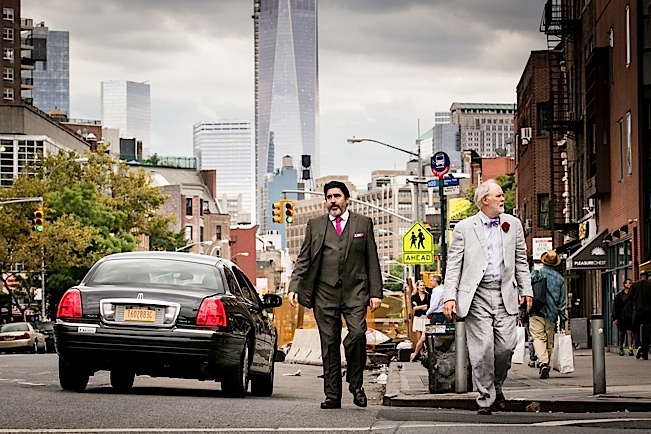 Love is Strange is nonetheless an important look into gay marriage among older folks. How lovely to see two big stars reveal such deep intimacy between the two male characters. The film courageously takes its time, which compels us to be with the strong emotions it so beautifully evokes. It is also spiced with sumptuous segments of classical music performances that truly lift the film to unexpected heights. Note: John Lithgow received an Oscar nomination for Best Supporting Actor as the transsexual character Roberta Muldoon in The World According to Garp (1982). It was a breakthrough then just as Love is Strange is a breakthrough now in its way.